I am a composer, pianist and teacher, based in London. 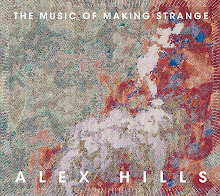 My music has been played at events such as the Cheltenham Festival, the London Sinfonietta State of the Nation Weekend and the Cutting Edge series, at venues ranging from Carnegie Hall and the South Bank Center to the Bethnal Green Working Mens' Club, broadcast on BBC Radio 3 and the German SWR, and recorded on the American Innova label. Recent collaborators have included the Berlin-based Ensemble Mosaik, San Francisco group Earplay, pianist Zubin Kanga, soprano Natalie Raybould and the cellists Lucy Railton, Kwesi Edman and Severine Ballon. Upcoming projects are a duo for Lucy and the violinist Aisha Orazbayeva, a new piece for Earplay's 2010-11 season and a work for the Dutch Ruysdael Quartet. From 1998 to 2004 I lived in California, where I studied and taught and the University of California, San Diego, and Stanford, completing a doctorate supervised by Brian Ferneyhough. Before that I was a student at the Royal Academy of Music, where my teacher was Michael Finnissy, and an undergraduate at the University of Exeter. 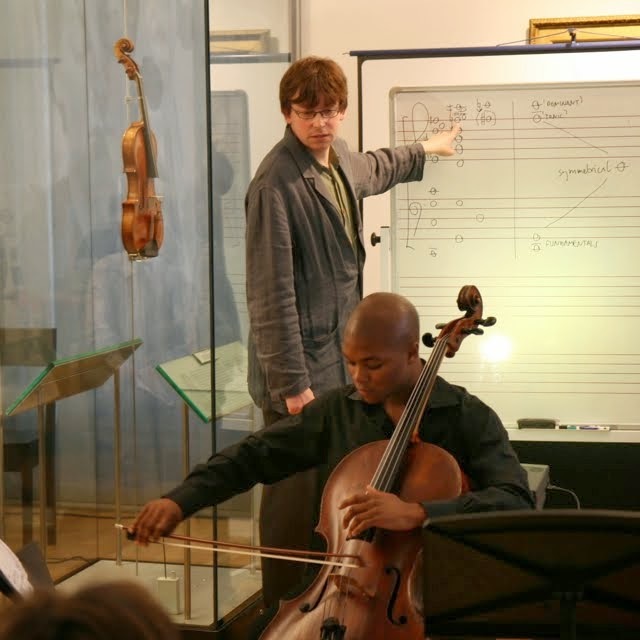 I'm a now a full-time lecturer at the Royal Academy of Music, where I teach analysis and music theory. I also teach piano and, rather improbably, write a monthly review column on rock and pop music for Clash Magazine. Outside music, I enjoy reading both classic and modern fiction - Middlemarch, Anna Karenina and Gravity's Rainbow are particular favorites - support Arsenal and the England cricket team, and pursue a near-obsessive interest in (mostly French) food and wine.